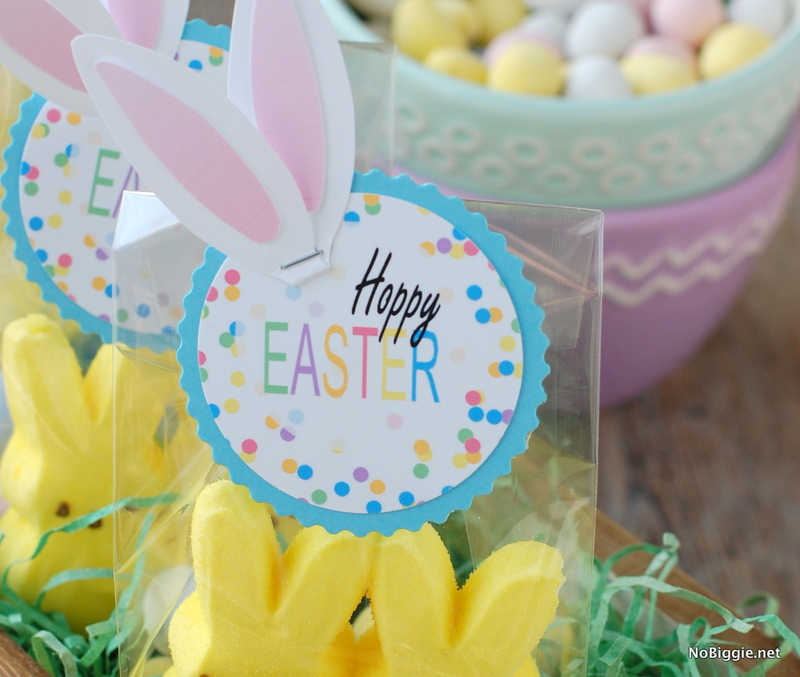 Free Printable for Easter for gift tags, headbands and more! Every year around this time, I love to snap a few pictures of my kids wearing bunny ears. I’m a sucker for holiday themed photos. 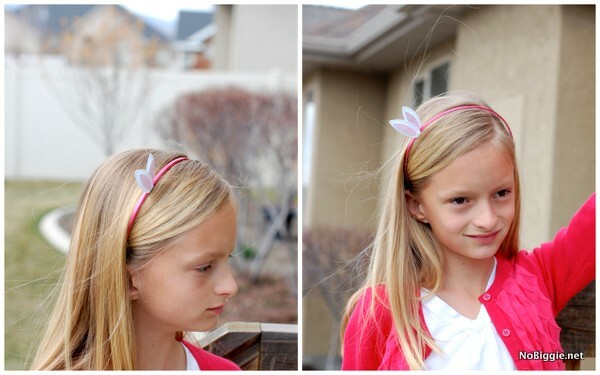 Nothing says Happy Easter like a bunny ear headband, and itty bitty bunny ears on a headband, is even cuter! I love how subtle they are at the same time as being oh-so festive. 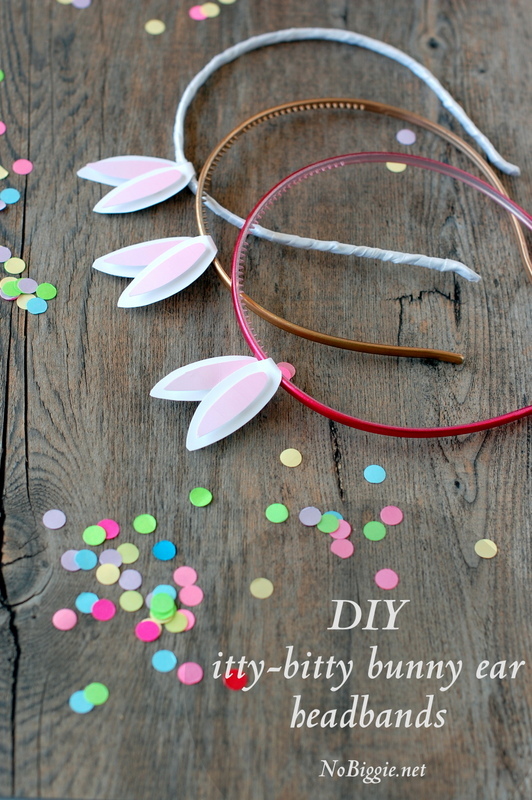 To make these itty bitty bunny ears headband out of paper, you just cut the bunny ears out from the printable (download below), if you cut on the inside of the black outline on the printable, they look great. Then wrap them around a skinny headband and adhere them together with a glue dot at the base. 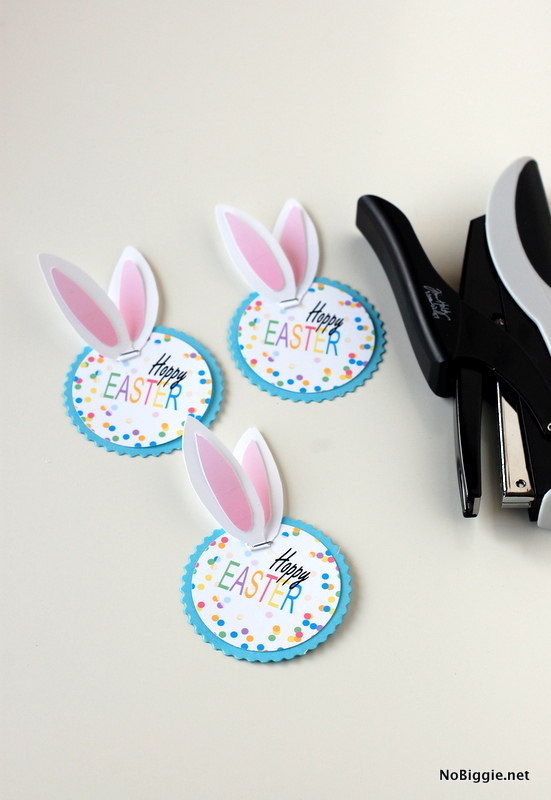 Along with the itty bitty bunny ears on this free Easter Printable, you’ll also find 6 little Happy (& Hoppy) Easter tags. 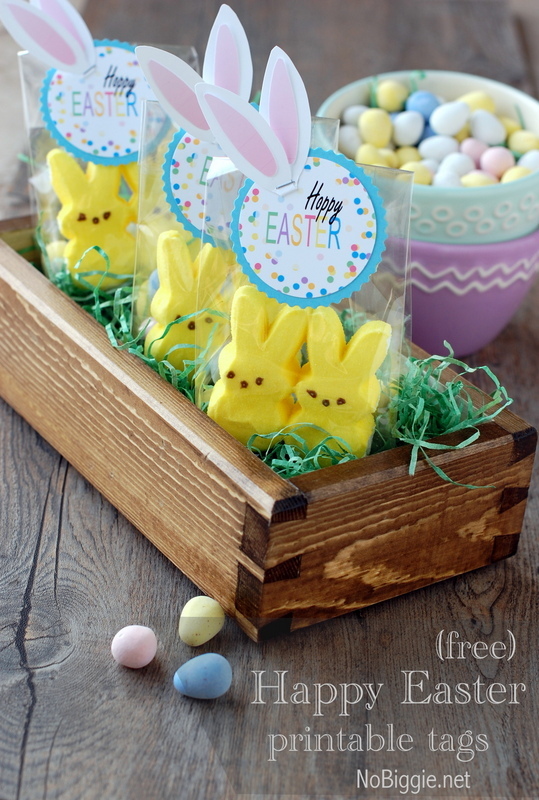 You can add them to party favors for an Easter Party or for neighbor treats, anything you can think of as a fun way to wish someone a Happy Easter. 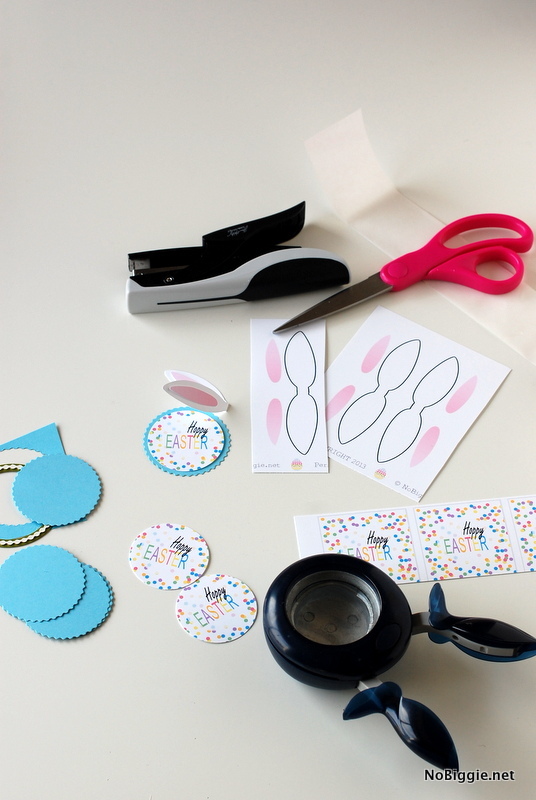 The printable tags work great with a 2 inch circle paper punch, or you can cut them out as is…square with scissors. Once all the tags are punched out, adhere them onto a slightly larger circle (with a scalloped edge if you’d like) which was cut using a cutting die a craft punch will work too. 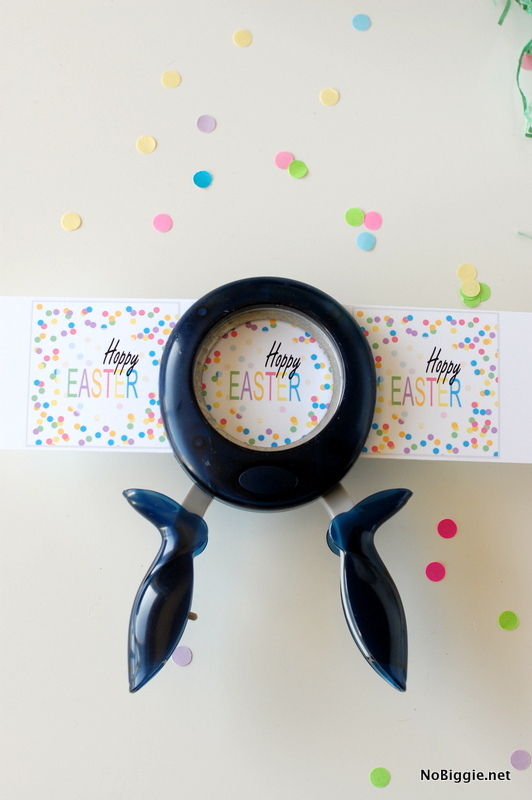 Then just staple the itty bitty bunny ears to the front of the Happy Easter tag. Tape the tags onto mini cellophane bags. Sweet and simple. 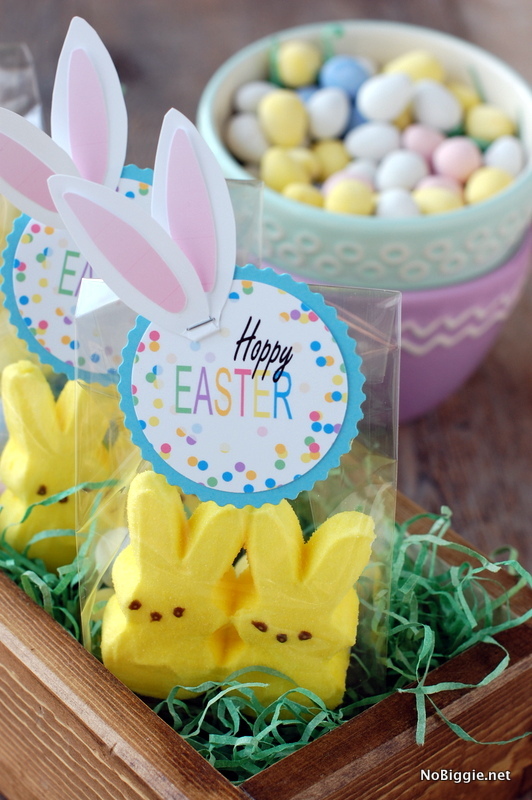 Click here to download these itty bitty bunny ears and Happy Easter tags. *All printables are for personal use only. Easter will be here before we know it! Enjoy!